includes FREE Project Kit with Technique Manual, Snacks, Treats, Giveaways and FUN! BERNINA Academy is your source for the best of BERNINA Education brought close to home! Attend one of our unique Academy events to learn how to sew like a pro! Learn more about the BERNINA Academy courses below. Welcome to the BERNINA Academy TAME THAT TECHNIQUE Course! 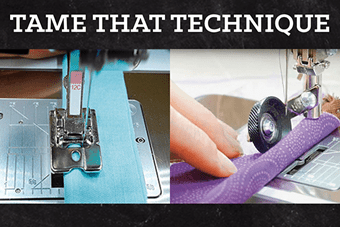 Join our team of experts and learn how to successfully stitch professional techniques like piping, zippers, Spanish hemstitching, couching, fringe, and more! Learn practical and decorative techniques and discover ways to make sewing easier using proper feet, stitches, and features of BERNINA machines for precise sewing. 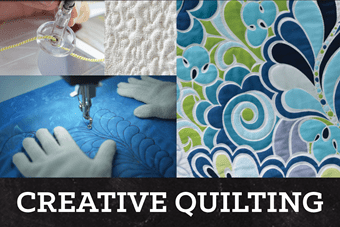 The BERNINA Academy Creative Quilting course will give you hands-on experience in free-motion quilting, rulerwork, couching, McTavishing and more, all with the guidance of an expert instructor. Starting with simple stippling, the course will guide you skill by skill, and you’ll be quilting feathers by the end of the session. Learn the skills you need to successfully quilt your next quilt! 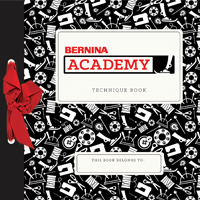 Create the BERNINA Academy Technique Book as you work through the lessons that will be yours to keep as a reference every time you walk into your sewing studio. Sewing tips and free patterns are included on the exclusive download link provided only to BERNINA Academy attendees. Supplies, technique book, and machines are provided for you during the two day course.